Snowboarder Danieson Crowder of Vallejo died in an accident last week, becoming the second death this season at Northstar California ski resort. Local authorities believe the heavy snowfall for the 2018-19 ski season at Tahoe ski resorts likely contributed to the snowboarding accident that killed 40-year-old Crowder. Tree wells are a source of danger and should always be avoided, even by experienced skiers and snowboarders. 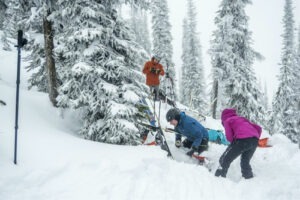 It’s typically very difficult for an individual to pull themselves out of a tree well once they have fallen in, and reinforces the notion to never ski or snowboard alone. The first fatality at a Tahoe ski resort this season took place Feb. 3 at Northstar. The Washoe County Regional Medical Examiner’s Office identified the man who died after a skiing accident as 30-year-old Andrew McDowell of Tahoe City. 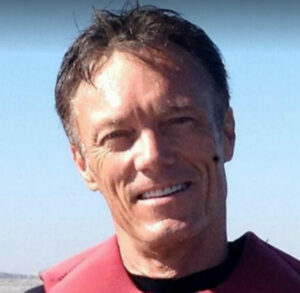 Northstar officials confirmed that McDowell was an employee at the popular Lake Tahoe ski resort. Danieson reportedly drove up to the Northstar ski resort Monday morning (March 11) by himself. His family said he had been snowboarding Lake Tahoe for more than 25 years and was a Northstar season-pass holder for over 10 years. Danieson’s family grew concerned when he didn’t return Tuesday. They called the Placer County Sheriff’s Department Wednesday morning to file a missing person’s report. The Northstar ski patrol found Danieson’s body Wednesday (March 13) in a tree well, an area of deep, loose snow around the trunk of a tree. Danieson reportedly went head first into the hole. The fall left him unconscious, upside down, and he reportedly suffocated. The family plans to bury Danieson on Friday, March 22 at Skyview Memorial Lawn in Vallejo. The body of Brett Herrick was discovered in a wooded area between the Comet and Dipper runs at Heavenly. There have been three deaths this season at Tahoe ski resorts. The body of Brett Herrick of Seaside, Calif., near Monterey, was found the morning of Feb. 19 (2019) at Heavenly Mountain in South Lake Tahoe. His body was discovered by Heavenly Ski Patrol and a K9 search dog in a wooded area between the Comet and Dipper runs. The initial investigation revealed that Herrick likely fell while skiing in the trees and could not escape the deep powder that had been falling at Heavenly for more than a week. At the time of his disappearance, Herrick had reportedly been skiing with his girlfriend. However, the couple separated from each other as Herrick choose a more difficult path through the trees while his girlfriend continued down the groomed run. She later reported Herrick missing when he never met her when Heavenly shut down for the day. On a national basis, the chances of dying while skiing or snowboarding is extremely low. Statistically, people are 100 times more likely to die while canoeing than they are while skiing or riding down the slopes.